Pagid Blue RS4-2. Medium friction racing compound with immediate low temperature response. Fading resistance up to 500°C ( 930°F). Medium friction racing compound with immediate low temperature response. Fading resistance up to 500°C ( 930°F). The RS 4-2 beds quickly and has a very good modulation (controllability). It is a classic Rally compound and one of the most commonly used pad in small single-seater (F3, F-Ford, F-BMW, F-Renault etc.). Popular also in showroom stock racing and club racing. 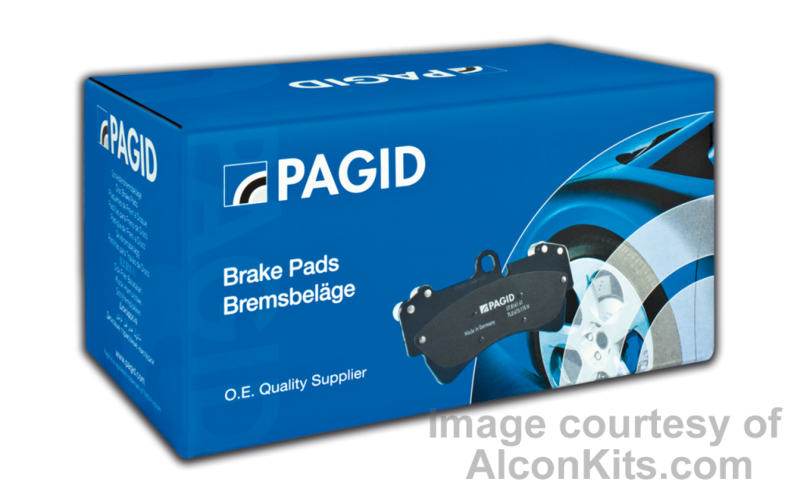 Can be used as a rear pad in combination with a higher friction front pad.